Reaching the top of the search engine results takes a lot of hard work and a solid SEO strategy. 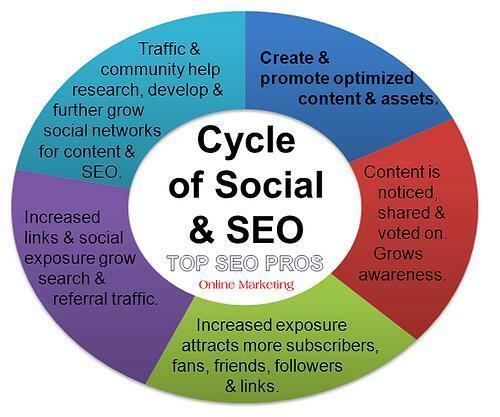 Top SEO Pros is a premier internet marketing company in Boca Raton, Florida. Our services include local and regional search engine marketing, social media management, custom website design, Pay Per Click management & mobile marketing. Top SEO Pros has a reputation as a leader in organic search engine marketing for South Florida. Their reputation for excellence stems from dedicated and knowledgeable staff who are constantly building on their already impressive set of skills. Organic search engine optimization (organic SEO) refers to the methods used in obtaining high page one placement (or ranking) on the search engine results page with unpaid organic traffic. These algorithm-driven organic results on any given search engine are highly sought after. Our methods such as boosting keywords, backlinking and writing high-quality content can all improve a site’s page rank. Black hat SEO methods, such as the use of keyword stuffing and link farming, are commonly frowned upon but can also boost your organic SEO. Sites using organic SEO in the truest white hat form will always achieve better ranking and placement results than black hat method's. Organic SEO will grow your website, expand and adapt it over time in response to and with google algorithms and grant you page one search results. Whether you’ve heard a little or alot about PPC marketing, are you curious to learn more? Do you already know that you want to incorporate Pay Per Click to market your business? Search engine advertising is one of the most popular forms of PPC. It allows advertisers to bid for ad placement in a search engine's sponsored links section when someone searches for a keyword that is related to their business offering. Every time your ad is clicked, it's sending a visitor to our website. You have to pay the search engine a small fee. When PPC is working correctly, the fee is trivial, and the website visit is worth more than the click you payed for it. Don't think of this product or service as your third favorite, think of it as the bronze medalist in an Olympic medals sweep of great products and services. Attract new customers where from right where they're spending most of their time online with our managed social media advertising services. We will raise awareness of your business, increase your website traffic and get you affordable leads with Facebook and Instagram advertising. Need additional information or requesting a quote ?